What Can Be Done to Stop Wage Garnishment? | Get Out of Debt Today. What Can Be Done to Stop Wage Garnishment? Have you gotten so far behind on your bills (credit card bills, medical bills, personal loans, and other consumer debt) that a creditor has taken you or is threatening to take you to court in order to garnish your paycheck? If so, you’re not alone. According to a study by the ADP Research Institute, in 2013 nearly 4 million Americans had their wages garnished in order to pay consumer debt. These individuals had to surrender a portion of their paycheck every pay period to the courts in order for it to be distributed to the creditor until the debt was repaid. 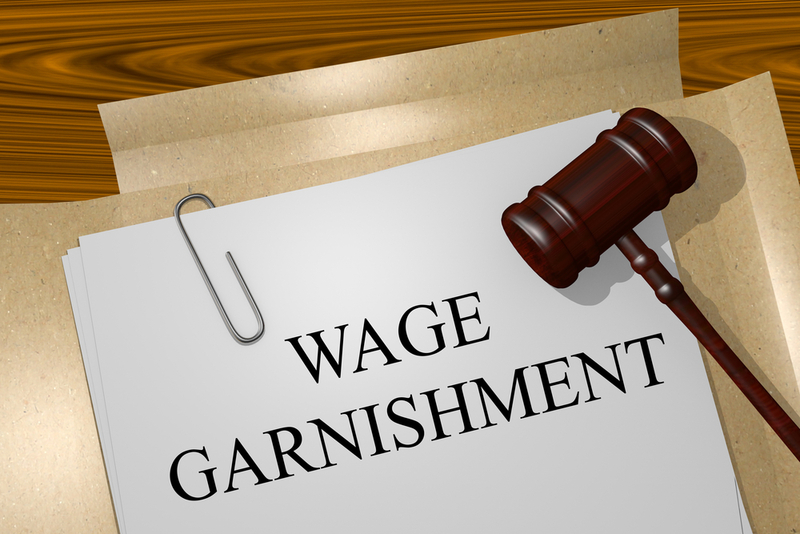 Are you wondering if there is a way to stop wage garnishment? Please continue to read this article. As disheartening as it may be to face a garnishment, creditors have every right under the law to garnish the paycheck of a delinquent consumer. They first have to go through the court system and prove the delinquency in order to win a judgment, but if such is granted, the law says a creditor can petition an employer to withhold as much as 25% of an employee’s paycheck. If the debt is significant, this could lead to years of financial hardship creating an “unseen toll” on many families. One option the consumer can consider to stop the garnishment is filing bankruptcy. Immediate stop of wage garnishment during the bankruptcy’s period of automatic stay. The automatic stay is the period of time between filing for bankruptcy and discharge of bankruptcy that a creditor cannot collect payments on a debt without first petitioning the bankruptcy court. Possible elimination of debt causing wage garnishment. Depending on the type of debt that is causing the garnishment and the type of bankruptcy filed, the underlying debt can be eliminated by the discharge of unsecured debt or through an established bankruptcy repayment plan. If you are dealing with the hardship of wage garnishment, consider speaking with one of our experienced attorneys to see if there is something we can do to help you. If you are struggling with debt, and even potentially a wage garnishment, contact the Bankruptcy attorneys at Brock & Stout. We’ll schedule you a free appointment with one of our attorneys and we’ll advise you on your options for a fresh start.